You are currently browsing the tag archive for the ‘SME’ tag. 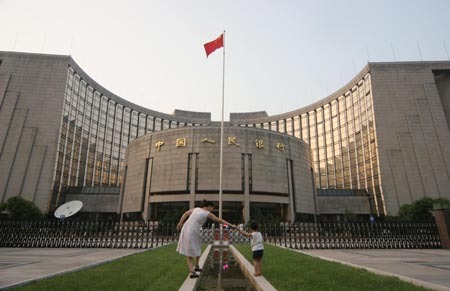 Amid the weakening global economy, which will ostensibly slow down China’s export, the People’s Bank of China last week cut the cost of bank loans and reduced the reserve requirement ratio for smaller financial institutions. In what was seen as a move to help SMEs hit hard by a tighter credit crunch, the central bank announced a 27-basis point cut to the commercial banks’ benchmark lending rate and 100 basis points for the reserve ratio for small and medium financial institutions. The lowered reserve ratio will free up more funds for small bankers, which will increase lending to SMEs. China’s exportsincreased 22.4 percent year-on-year in the first eight months of 2008, but down from 27.7 percent in the same period last year. It is believed that worsening US financial market turmoil and rising domestic production costs would have negative impacts on Asia exports and financial markets. Jing Ulrich, chairwoman of China equities at JP Morgan Securities expected that China would open its purse strings by unleashing relief programs for the export sector, reconstruction spending and high levels of infrastructure investment.